Technology is very important when it comes to delivery of support services to organisations in an effective and competent manner. 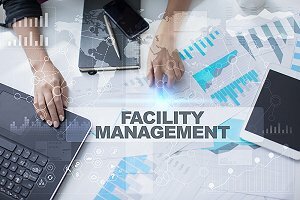 Facility management (FM) brings systems, place, process and technology under one umbrella. The scope of facility management covers the following areas: “space infrastructure” and “people and organisation”. Without technology, the workplace will not be able to meet up with modern standards, stemming from the fact that technology is highly needed to effectively manage the areas mentioned earlier. There are certain technologies which make facility management more effective and productive. Here are some cutting-edge technologies that are changing the face of modern facility management industry. Smart Building Technology: A smart building refers to a structure which utilises computerised processes and tools for the management of the facility’s operational activities. In order for a building to be considered ‘smart’, Internet of Things has to be fundamental to the control of the facility’s setup including heating, lighting, and security. Machine Learning: Machine learning is a form of artificial intelligence which allows building systems to gather and evaluate data so as to predict possible outcomes. Building Information Modelling Technology: With BIM technology, it is possible to conceptualise specific sections of an office space including structural components such as wall and windows and assets’ locations. Wearable Technology: With the use of wearable technology such as Fitbit and smartwatches, facility managers can improve security by limiting access to certain sections of a building to some employees. Initially, the only way to go about facility management was based on “the pencil and paper” approach. There were loads of sketches, user manuals, warranty information and other documents that were needed by facility managers to carry out their job effectively. It took a lot of time for facility managers to process all this information. However, the huge advancement in technology has changed all that. Facility managers can now receive tons of asset and building information via electronic means. FM technology has also made the role being played by the facility manager increasingly visible. Due to FM technology, facility managers have now extended their roles into space management and service management. However, FM technology still has its challenges. Inadequate preparation will cause FM technology to have an adverse effect on business. These adverse effects encompasses poor client satisfaction and a proliferated security problem. Despite the advancements in technology that enable us to lead a more comfortable life, it doesn’t suit every purpose. Employing FM technology in your business should come with an end in mind. Therefore, FM technology should be intended towards making appropriate strategic decisions. Many authorities in the field of facility management are of the opinion that technology will become more and more vital to the management of lifecycle assets, efficient utilisation of resources and investment outcomes. It is not easy to keep abreast with the numerous technological developments introduced yearly. The result of failing to keep up to date with the latest technologies jeopardises the chances of reducing operational costs and increasing employee’s productivity.